Life is difficult’, is the first line of the best-seller The Road Less Traveled by M. Scott Peck. On reading that line Enlightenment! My soul was filled with clarity, understanding, and acceptance. The premise of the book is that we have to work at life. It is not supposed to be easy but we can navigate the ups and downs. With self-discipline and other life skills, we can live a meaningful and fulfilled life. I remember that period of my life when I felt stuck and depressed. 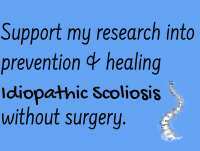 It was the time when I was diagnosed with scoliosis and the doctors said there was nothing that could be done except surgery. My back was curved badly and my body was horribly deformed. I was ashamed of myself and my curved spine. For a long time I had been looking forward to being an adult and here I was afraid of the future. How do I cope with the challenges facing me? That’s the time I serendipitously came across this book. This was before the internet age when one had to go to bookstores and check out on books. The magical hand of the Divine picked M. Scot Peck’s book out of the stack of many self-help books that lined the shelves. And, it has been instrumental in influencing my view and determining the choices in life. Of the thousands of risks we take in a lifetime, the greatest is the risk of growing up. This is a leap that many people never take in their lifetimes. Growing up may happen gradually but for me, it was a big leap of faith into the unknown. That I could do something about my scoliosis. I could take this leap into the unknown because of deep self-love. 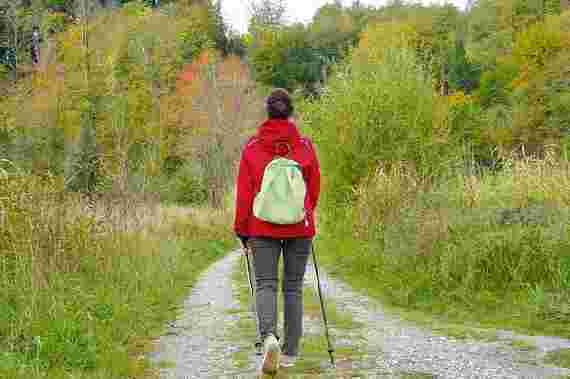 Deep within me, I knew that it was up to me to take steps to correct my scoliosis. I think it was the love I received from my mother which gave me the courage to believe and take a chance into delving into the mind-body connection and find healing. How true, I know now without a doubt that more than emotional beings we are spiritual beings here to find our higher purpose. Once I realized that life was a series of problems and that it was up to me to solve them the best way I could. Struggling and finding solutions, consistently and persistently is what has kept me alert and active. What makes life difficult is that the process of confronting and solving problems. And, problems, depending upon their nature, evoke in us frustration or grief or sadness or loneliness or guilt or regret or anger or fear or anxiety or anguish or despair. These are uncomfortable feelings, often very uncomfortable, often as painful as any kind of physical pain, sometimes equaling the very worst kind of physical pain. Indeed, it is because of the pain that events or conflicts engender in us that we call them problems. Life is difficult, we must learn to bear the pain and enjoy the bliss. The process of meeting and solving problems leads to a meaningful life. Solving problems distinguish between success and failure. They create our courage and our wisdom. Moreover, it is because of problems that we really grow mentally and spiritually. As a survivor of abuse, I know that if my father had truly loved me as he always said he did he would have not totally and vicious trampled upon my helplessness when I was a kid. I know that even though my family pretended to love me, I was just a nuisance child. To be tolerated and used. To be honest, we cannot say we truly love someone and show a total disregard for their feelings and needs. We cannot call it loving when we don’t attend to someone as a feeling person. When we love another we give him or her our attention; we attend to that person’s growth. When we love ourselves we attend to our own growth. When we attend to someone we are caring for that person. Scott was one of the first psychotherapists who clearly stated the obvious “mental illness is caused by an absence of or defect in the love a child required from its parents for maturation.” And in order to be healed, the patient must receive the genuine love of which the patient was deprived. Further, Scott states that if the therapist cannot genuinely love a patient, then genuine healing will not occur. This is something all those who go in for therapy need remember, that they don’t need someone to lecture them, judge them or give them answers. True healing happens in the loving space of acceptance and validation. Further, Scott tells us that feeling depressed is a healthy phenomenon. We feel depressed when we know we have to give up something that is a deeply held familiar part of ourselves. It becomes abnormal or unhealthy only when something interferes with the giving-up process, and depression is prolonged. Parents are the role models, and children subconsciously imitate the adults in their life. To be honest all that I learned about parenting came from this book. First that we need to spend time with our kids, that love means wanting to be with your kids. Not just mindlessly do other things around them but to be actively attending and listening to them express and share their needs and feelings. When we give them the gift of our attention we make our kids feel valuable and important. Children who are truly loved (spent time with) unconsciously know themselves to be valued. This knowledge is worth more than gold because they then feel valuable, in the deepest parts of themselves. This feeling of being valuable is essential to mental health and a cornerstone of self-discipline. It is a direct product of parental love, extremely difficult to acquire during adulthood. Good discipline requires time. When does a child need gentle urging or a reprimand or guidance or praise is only possible when the parent spends enough time with their child to know what is needed. Lastly, children cannot grow to psychological maturity in a home rife with unpredictability. Only, if a child sees his parents day in and day out behaving with self-discipline, restraint, dignity and a capacity to order their own lives, then the child will come to feel in the deepest fibers of his being that this is the way to live. If we have loving, forgiving parents, we are likely to believe in a loving and forgiving God. And thus our adult view of the world is that it is a nurturing a place as our own childhood was. If our parents were harsh and punitive, we are likely to mature with the idea of a harsh and punitive monster-god. And if they failed to care for us, we will likely envision the universe as similarly uncaring. Further, the essence of a patient’s childhood and his worldview is shaped by his “earliest memory.” with his parent/s. Changing this view may be tough though not impossible. However, spiritual growth can happen if we are courageous and take steps to overcome our past through concerted action. Finally, it is up to up you to negotiate the problems and challenges in your life. You have to explore, question and find your own answers. With faith, courage, and discipline you can grow and become who you were truly meant to be. I am glad I took the road less traveled by and that has made all the difference.